← Crappy Album Covers #283 – OMG! Rockers! 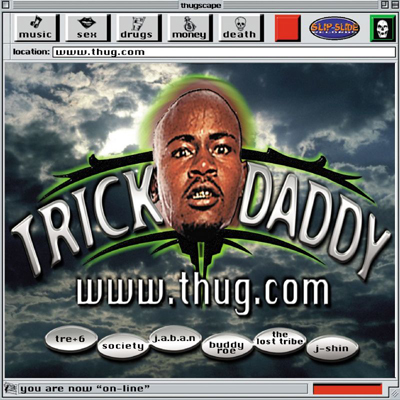 The website still exists, along with its concomitant musician-thugs who deny they murdered somebody-or-other. All this murder is starting to get rather dull. But It looks as though MC Boosie (who hails from Louisiana) has a good lawyer, and he may stay off death row, as a visit to www.thug.com assured me. Another staple of the CAC blogosphere, “Bass-ic Rock”, has no artist and no year. 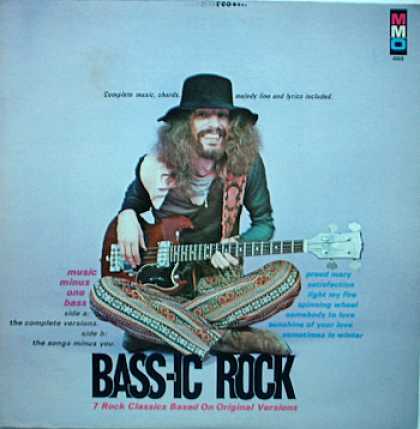 Just a goofy looking hippie with a bass guitar on the cover. Actually, after scouring the web, I came to a Japanese site, which associates the title with a guy named Noel Edward Smith. A translation of that page tells me that this is an instructional record, complete with an accompanying book.